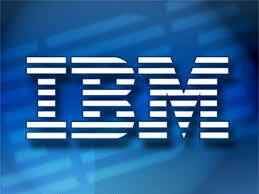 Building upon their huge success with Datapower, IBM has another SOA appliance on the market: CloudBurst. With a form factor similar to that of DataPower, CloudBurst is aimed at companies interested in building a private cloud. CloudBurst utilizes virtual software images to securely deploy and manage these apps in the cloud. CloudBurst is pre-loaded with WebSphere Application Server Hypervisor Edition (optimized to run in a virtualized environment) and will be integrated with other IBM products, such as WSRR, in the future.